fumigate freight from anywhere in the world. before and after the fumigation process. wood furniture and historical wood artifacts. fumigation building to eliminate all stages of insects. other pests in your furniture, electronics, clothing, etc. 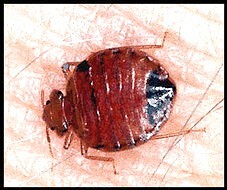 You can obtain 100% control for bedbugs when you have all your belongings fumigated with Vikane (Sulfuryl Fluoride). Fumigating will kill all stages of bed bugs including 100% of the eggs. Fumigating with Vikane (Sulfuryl Fluoride) is used by Magic Fumigation for treating pests like bedbugs, carpet beetles, dry wood termites, powder post beetles, and clothing moths. 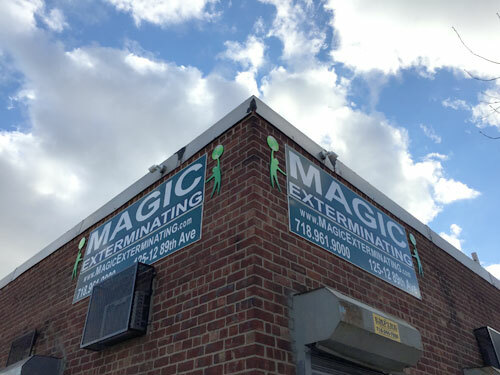 Magic Fumigation is owned and operated by the same group as Magic Exterminating who has been in business for over 50 years. Magic Fumigation is a certified quarantined Facility that offers USDA fumigation services. We also provide cooler services for freight pre or post fumigation. Magic is a USDA customs warehouse, and the largest facility of its kind in the Northeast. Magic will fumigate all inbound cargo quarantined by the USDA from JFK International Airport as well as Newark International Airport. Magic will also fumigate all perishable items such as yams, lablab beans, thyme and leafy vegetables, cut flowers, chestnuts, nursery stock, fruit, grapes and blueberries. Magic will also perform fumigations for ocean shipping containers from ports such as Redhook in Brooklyn, Port Richmond in Staten Island, Elizabeth and Newark ports in New Jersey. We also provide services to museums, homes, and offices for art and furniture fumigation. All methods of fumigation have one factor in common: they must provide a means by which to hold an adequate concentration of fumigant for the time necessary to kill the target pests.